Lauren Browning joined QAI in April 2018 as a Business Development Manager. 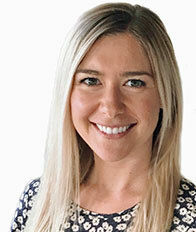 Lauren has a background in brand management and sales, working with some of Australia’s top health food brands. Her experience has proven the importance of obtaining label claim certifications to increase brand recognition and clearly communicate brand values. When not working, Lauren enjoys spending her time going to local events, doing yoga, gardening and traveling. Lauren comes to QAI with a bachelor’s in communication from Michigan State University.